Summer is fast approaching and it's time to step things up! I've gotten a great response from the first two parts of this series so now it's on to part 3. In this post, I'm going to give you a little known but absolutely one of the best workout methods I've ever run across. 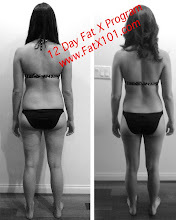 It happens to be one of the secrets behind the success of my 12 Day Fat X Program. You can also see it in action in many of the workouts in the Free Fat Burning Workout section. This method enhances workout time so that you can get big returns on small amounts of time. Just a quick recap for those that are new to Fat X 101, in part 1 I discussed my easy to make morning tonic that’s helped me stay lean and healthy. In part 2, I discussed the diet method I used over the winter to lose 10 lbs. Let's get into part 3 so that you know what exactly it is that makes my workouts effective, practical and efficient. Whether you decide to do my workouts our not, understanding and implementing this method will help you progress on your health and fitness journey. Let’s get into the method. The method I’m referring to is Escalating Density Training (EDT). It’s a method I first learned from reading the works of Martial Artist and strength and conditioning coach Charles Staley. The concept is simple. In essence, It’s about making your workouts better, not longer! I’ll give a very simple example of how this works, and then a more complex set up. Let’s use the Push-up exercise and a 1 minute workout as an example. If on workout one, you can do 20 Push-ups, then the goal is to be able to do more the next time in the same period of time. Time stays constant, but, you’ve done more work in that same amount of time. In other words, your workout has become more dense with work and your power output has gone up. A simple formulas to track this is Power=Work/Time (P=W/T). More power output means a higher tax on your metabolic processes! This is great for fat loss, but, also great for athletes and their performance in any sport that requires power output. So that’s the basic concept of EDT. You’ll see this method many times in my 12 Day Fat X Program, but for a free example, and a workout I assign to my clients when they go on vacation, check out the Zombie Hunter Workout. It’s a 20 minute workout. The goal is to go through the circuit as many times as possible (AMTAP) in those 20 minutes. 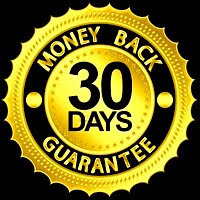 If you have any questions on EDT, my 12 Day Fat X Program, any of the workouts in my free bonus section, feel free to contact me. As I always say, I don’t succeed unless you do! So if you need help, please reach out.